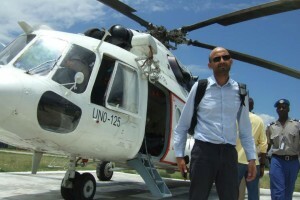 My name is Mo Desai and I have worked at the Department for International Development (DFID) for more than 11 years. In that time, I’ve worked in two key roles, both on what you could call the frontline. I started in the private office of the then Secretary of State, Hilary Benn, and then of the permanent secretary. This provided me with a fantastic grounding and a great strategic overview of Whitehall operations. I built some really good networks and relationships that are still vital to my job today. Before joining the Civil Service, I worked in accountancy. While obviously very important to any business or service, this didn’t quite give me the rush I was looking for. My first experience of how DFID operates in a crisis was the devastating 2004 Boxing Day tsunami in the Indian Ocean. In terms of loss of life it was shocking – more than 200,000 people from 14 countries, with Indonesia the hardest hit. The level of interest in the disaster was high. It was a very intense time for DFID. I worked closely with humanitarian response colleagues, ensuring that the Secretary of State could respond to the sheer volume of correspondence from parliamentary colleagues and members of the public. I bided my time for the next couple of years, and when the right job came up I moved to our Conflict Humanitarian and Security team (CHASE) as Deputy Humanitarian Programme Manager. This was where I wanted to be, right in the middle of the action, helping DFID respond to crises. Over the years I’ve worked on a host of emergencies, from conflicts in Iraq and Gaza, to typhoons and the Balkan floods. I’ve also undertaken programme monitoring in Haiti after Hurricane Sandy, and carried out a needs-assessment of Congolese refugees on the border with Uganda. Over the past 18 months, I have been deployed to the Philippines on three occasions. Initially, I went as part of the immediate emergency response following Super Typhoon Haiyan, and subsequently for follow-up monitoring to ensure UK aid was getting to the people who needed it most. Being confronted with the scale of needs and the realities of daily life for those affected by humanitarian disasters is always daunting. But knowing that you are playing an important part to help puts things into perspective. The ability of the British public to rally quickly and respond generously to emergencies overseas is also inspiring and reassuring. A major risk when working on an emergency is burnout. Because you don’t want to switch off or miss any important activity or information, you often find that you’re running on not much more than adrenaline. It’s important to take a little time to step back, relax and reflect – when the information you’re providing could influence key ministerial decisions it’s important to get it right. When you’re responding to a disaster, especially in the immediate aftermath the pressure is relentless, but DFID is fortunate to have a very supportive and integrated response team. We quickly move into a rotational working pattern and adapt to the new working environment. We also benefit from excellent support from UK diplomatic posts overseas. Another challenge is ‘information overload’. In the first few days of a crisis, it can sometimes take a while to get lines of communication up and running. When they are, the floodgates can open. When working from Whitehall on a response, I’ve introduced communications tools, including email distribution groups and guidance on email best practice, to help manage the volume of information. These have made a big difference and make sure that all those who need to be informed are included. Although I now have over four years’ experience of the humanitarian sector to draw on if deployed overseas to respond to an emergency, I remain a Civil Service generalist. However, DFID has a wide range of technical experts, including humanitarian, nutrition and shelter advisers, who have a wealth of experience from working in NGOs, UN agencies and the private sector. 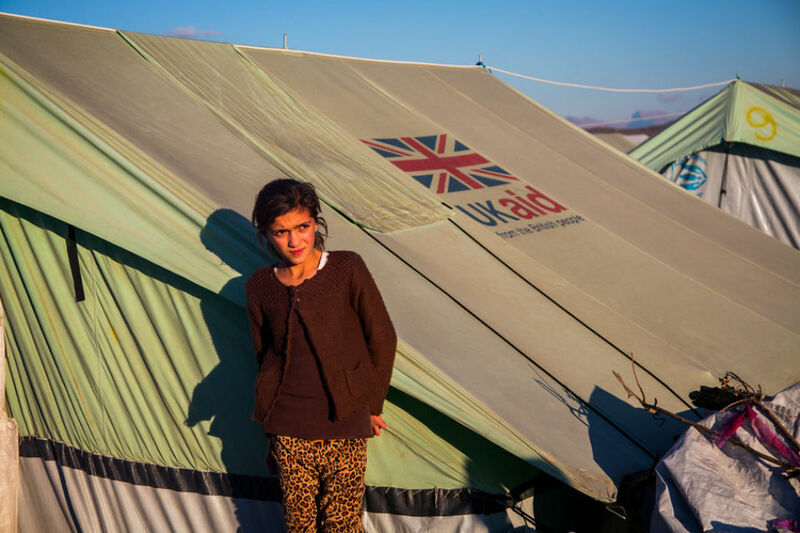 This technical and professional expertise means the UK’s reputation in humanitarian responses is second to none, allowing us to play an influential role on the world stage. At times you do sit and think about the devastation and the horror of the events you’re called to work on. But I know we are making a difference and saving lives, through direct interventions made possible by dedicated teams and, of course, the British taxpayer. As you’d expect, people ask me from time to time what I want to do next in my career, but honestly I am very happy with what I’m doing and feel privileged to be able do it.